In the second of a three-part article, we will discuss the next two resources that will make successful marketing possible for your business, whatever your budget may be. We have already discussed the #1 marketing resource that every business already has at its disposal – Positioning – that can build your brand or business successfully at low cost or no cost at all. Now, let’s cover two more. In this first of a three-part article, we will discuss how smart branding and marketing is always possible, whatever your budget may be. Why do 90% of businesses fail when times are tough? It’s the same reason that any business can fail when times are good: faulty marketing. Faulty marketing (or no marketing at all) means no customers. And that means no sales, no profits, and no business … fast. Marketing to build a powerful brand is all about identifying the needs of a target market and taking action to satisfy those needs better than the competition. So, embracing a customer-led mindset throughout the company is critical to success. Every decision on all aspects of your business – from product design and pricing to supply chain and distribution channels – must revolve around customers and their needs. Sharing a special day . . . I have some exciting news to share! I submitted a quote, and it got selected to be featured in the Woman’s Advantage 2010 Shared Wisdom Calendar. Today – January 15, 2010 – is the day that “my” quote will appear on the page-a-day calendar. The reason I wanted to share this news in particular is because the quote I submitted and that was selected for this year’s calendar holds a very special place in my heart. You see, my father – who passed away 6 years ago – often recited these words to me throughout my life and, even now, this phrase continues to have an impact on me. What would you say is the most critical success factor for business growth in your company? 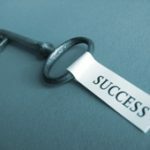 If you’re like 91% of the respondents in a recent study of CEOs in North America, Europe, and Asia, you would say “developing leaders.” In this article, we’ll explore why leadership development has become more vital to business success than ever, and why companies are now overwhelmingly choosing a previously-untapped resource – Executive Coaching – as a key part of the solution. In a Fortune 500 survey, 43% of CEOs and 71% of senior executive team members said that they have worked with a coach, 63% of companies said they plan to increase their use of coaching over the next five years, and 92% of leaders who have used a coach in the past plan to do so again. The Starbucks brand of coffee can teach you a lot about your own brand as a leader. How? Well, consider this for a moment … When coffee is in its natural coffee bean state, it’s a commodity that sells for just 1-2¢ per cup. When you add packaging and a brand name to it and place it on a grocery store shelf, the price of that coffee goes up to 5-25¢ per cup. Throw in service and personality by offering that coffee at, say, Dunkin Donuts, and the price rises to around 75¢ to $1.50 per cup. But then, there’s Starbucks coffee, which sells for $2-$5 per cup. How does Starbucks do that? And what does Starbucks have that those other cups of coffee don’t?